My neighbor mentioned a few nights ago that on his list of things to do for the evening was to take a look at their water heater. Apparently it wasnâ€™t working, and they had no hot water. My neighbor is the kind of guy that will take a look at pretty much anything before calling a repair person, and his wife had given him that evening to do so before she called a professional the next morning. This process would repeat three times, and then an error code would be displayed on the LED. 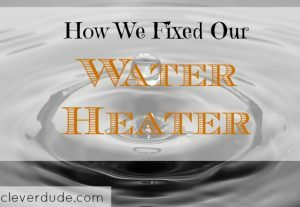 I had the exact same issue with my water heater several years ago, and with some additional conversation we determined that we have the exact same water heater. Recalling my experience with this problem, I told my neighbor that we paid the $80 fee for a service call to have someone come to our home and diagnose the problem. My wife and I both rolled our eyes as I told the story of how the professional fixed our problem. He had opened the service door at the bottom of the water heater, pulled out a piece of sandpaper, and rubbed down the end of a thin metal pole that ends up in the middle of the flames when the ignitor fires. He explained that the end of the pole gets dirty and the heat sensor no longer senses that the burner is successfully lit. He was done in less than five minutes. I could tell he felt bad about charging us $80 as he showed me what he did just in case the symptoms resurfaced. Eventually no amount of sanding would fix the problem and the sensor would have to be replaced, but this would get us by for a while. We actually went almost two years before we were forced to replace the sensor. My neighbors looked at each other and shrugged, thinking maybe they had a chance of having hot water yet that evening. The next morning, I found out that they had tried my suggestion, and it worked. Hot showers were taken by all, and no service call needed. It felt good to share some information that saved my neighbor some money. Iâ€™m hoping he returns the favor, as heâ€™s infinitely more handy at fixing things than I am. Have you ever shared information, or taught a friend or neighbor how to fix something to save them money? How did it turn out? I’ve never given advice to anyone on how to fix something because I don’t want to end up being reliable for something going wrong;especially something extremely expensive. That is sooo funny, because we had a stove that was fixed much the same way and cost us $73 to fix. My husband and I were shaking our heads at ourselves. How stupid could we be! But we had no idea. I am glad your neighbour was able to learn from you! If someone has their stuff broken or malfunctioning, I’ll first try by myself to fix it based on my knowledge or experienced, if it doesn’t work, then I’ll refer them to more experienced person, and not involve myself anymore since to be honest I’m not that technical and I’m afraid if my advice goes wrong haha. @Poor Student – I certainly wouldn’t want to make the problem worse with my advice, which is why such statements are preceded by, “I’m no expert, but…….” Thanks for your comment! Maybe a bit off topic – but about 10 years ago – in the middle of summer our carbon dioxide detector started to go off. We were a bit confused because the gas furnace and fireplace were off. We forgot that our water heater was natural gas. A seal had blown on it and it was filling the house with high levels of CO. 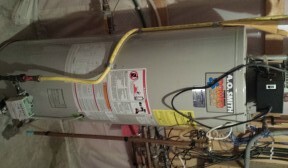 If you have a natural gas water heater – make sure you have a CO detector in your house. 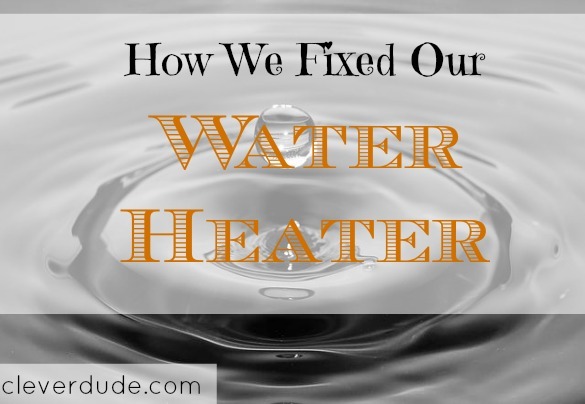 Our water heater could have killed us. 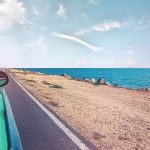 @May – Very true, thanks for the reminder! We have C02 detectors in our basement (next to the mechanical room) as well as near our bedrooms. Glad to hear nothing bad happened to you! The same is true for most gas furnaces. It’s called a thermal coupler and if the sand paper stops working, there are relatively easy to replace. Some have it directly in front of the pilot light itself and if it is faulty, the gas is turned off so pilot light will be out. But most these days have electronic ignition. 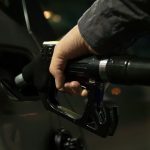 @Dave – Thanks for the tip, Dave….mine has the electronic ignition, but other readers may find your tip very useful. Much appreciated!